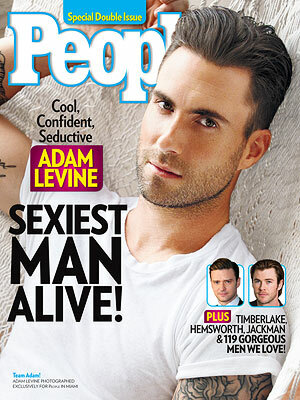 I think this year is Adam Levine's year. He is the PEOPLE's Sexiest Man Alive. He also coached this year's winner of The Voice, Tessanne Chin. Way to go Adam! He is famously known from Kara's Flowers their original band that became Maroon 5 later on by adding another band member. My mind is asking, do they ever buy guitar bridge pins at Musicians Friend? I wonder if their instrument is being sponsored by the music companies? Just some random questions that invades my mind while looking at Adam's photos. Disclaimer: Photos are not mine.